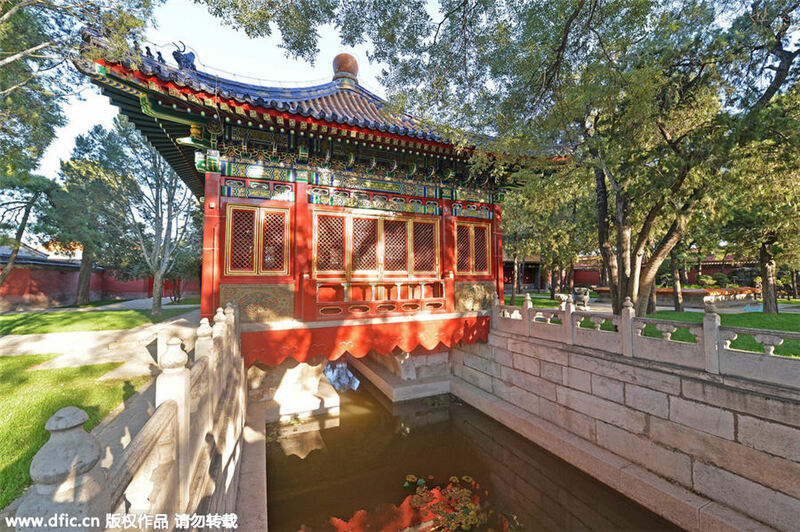 90 years ago, the mysterious Forbidden City first unveiled itself to the public. There are no statistics telling how many people visited on the opening day. 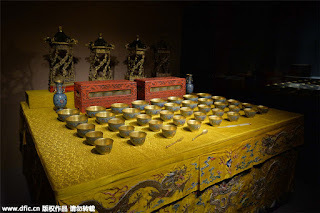 But according to historical records, staff of the museum collected a large basket of lost shoes at closing time that day. 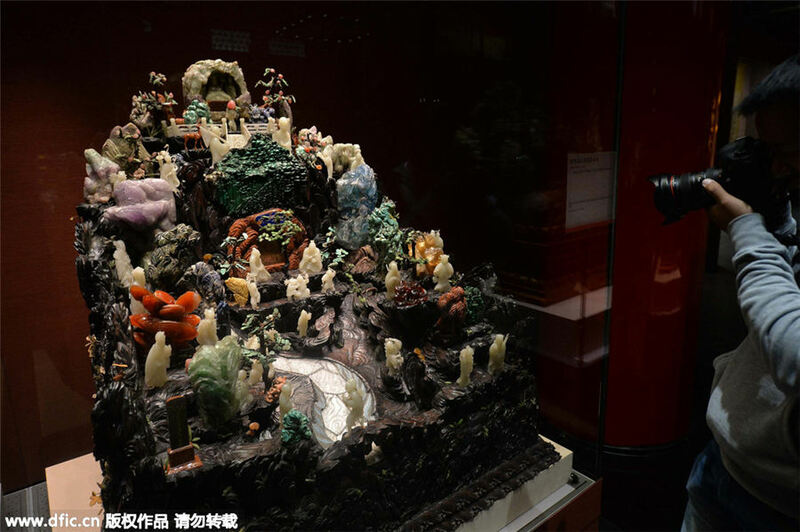 Today, the Palace Museum welcomes its 90th birthday with no big ceremonies or grand celebrations, but over 5,000 precious treasures from 8 fantastic exhibitions for the visitors. 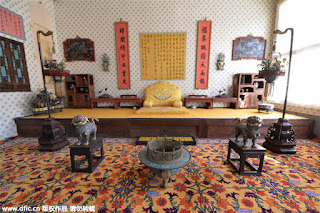 Shou Kang Gong used to be the residence for Emperor Qianlong's mother , the well known "Zhenhuan". Now the exhibition here displays precious treasures of the empress dowager revealing facets of Zhenhuan's daily life, and the flourishing material culture of the Qianlong period in the Qing Dynasty. A luxurious 1.53-meter-high gold tower is exhibited in the palace, which is embedded with jewels, calaites, and corals on its surface, and has a Buddhist statue inside. 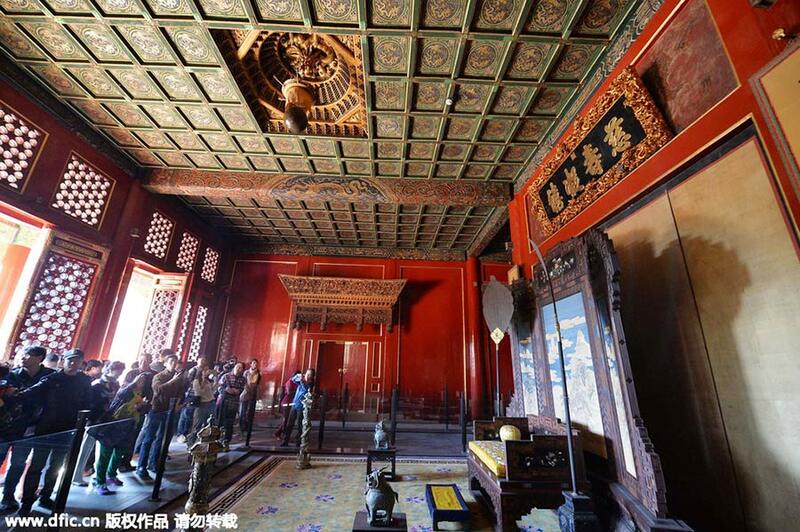 There is also a gold box in the tower which is said to be formerly used to collect the empress dowager's hairs. The "first kiss" statue is a stone statue from the Eastern Han Dynasty, which has a seated couple holding and kissing each other. 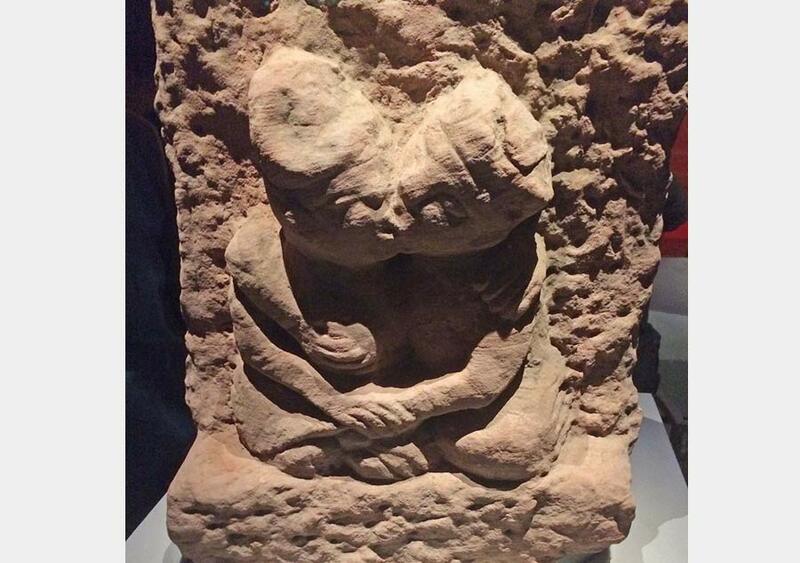 According to experts, the statue was unearthed from an ancient tomb in Pengshan county of Sichuan province, and may have demonstrated the affection between the couple buried there. The name "first kiss" was given by Chinese literati Guo Moruo the first time he saw the statue. 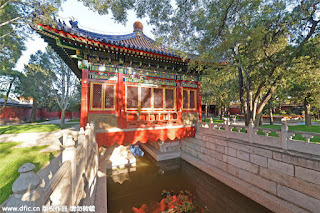 Cining Palace (meaning the Palace of Compassion and Tranquility) in the western part of the Palace Museum used to be home to the emperors' mothers. 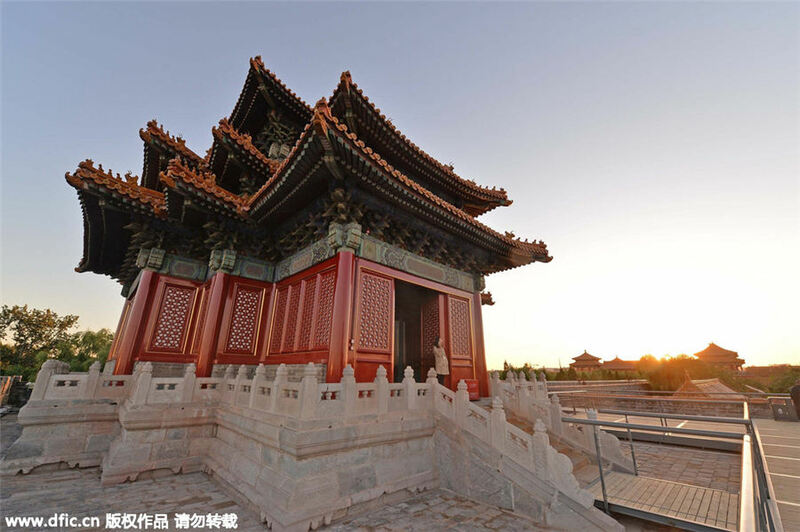 Now it has been converted into a sculpture pavilion which displays more than 400 sculpture relics, spanning from the Qin Dynasty (221-206 BC) to Qing Dynasty (1644-1911). 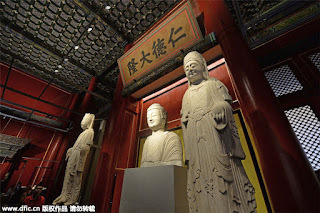 A large stone Buddhist statue and a Bodhisattva statue from the Northern Qi Dynasty (AD 550-577) and a 6th Banchan Lama statue from the Qing Dynasty are highlights of the exhibition. A special exhibition in the Yanchi House at the Meridian Gate is staging its first exhibition to reveal scenes of birthday celebrations for Qing Dynasty royals, a fitting theme for the museum's own birthday. 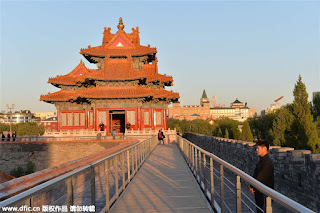 The opening of wings of the Meridian Gate and East Prosperity Gate enable visitors to walk on the walls of the Forbidden City for the first time. Visitors can also enter into the Southeast Turret and watch the digital film Turret. There is an outdoor stone carving exhibition near the East Prosperity Gate, and visitors can enjoy these stone carvings from above, a unique experience.